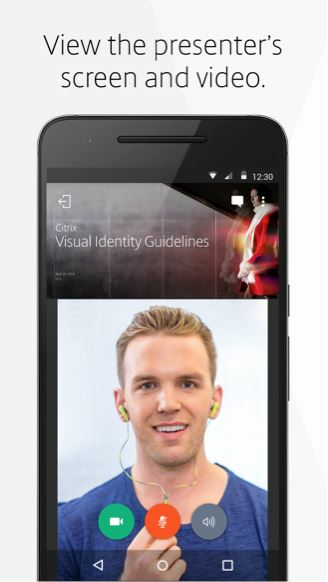 The GoToMeeting mobile app empowers people to easily start, join or schedule a virtual meeting from anywhere on a smartphone or tablet device. The GoToMeeting app is ideal for employees of large and small businesses alike as it saves professionals time and money while simultaneously promoting productivity and collaboration. Especially for remote employees, the app can play a crucial part in every day lives by providing a way to obtain face-time with colleagues without the need to make costly monthly or quarterly trips to the office. GoToMeeting focuses on making workdays easier with a variety of features that enable you to hold efficient meetings. 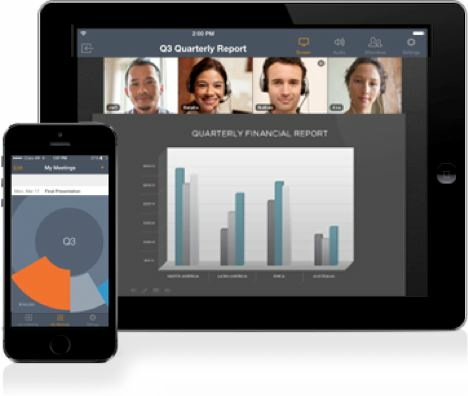 With the GoToMeeting app, you can join a virtual meeting anywhere their mobile device receives a signal. Even in a location with poor phone service, connect to WiFi and leverage GoToMeeting’s options for either phone or Internet audio during meetings. By using the app’s notifications feature, you can receive a push notification to remind you of meetings, making sure that you never miss anything important. Plus, with the new ‘Call Me’ feature, GoToMeeting gives you and your attendees the option to join the meeting audio by merely picking up the phone. Simply share your number and GoToMeeting will call you – answer the call to join the meeting. When attendees choose to join your meeting through Call Me, not only do they bypass the hassle of dialing in, but they also benefit from a toll-free service. For those mobile-heavy users, GoToMeeting also offers iPad and Android users the ability to share content directly from their mobile device, be it a presentation, whiteboard, or website. Transitioning between mobile devices and computers throughout the day has become regular practice in modern times. As such, GoToMeeting’s ‘Hand-Off’ feature enables you to transfer a meeting from your iOS device to your Mac or visa versa without disrupting the call. Begin a meeting on a mobile phone while commuting to the office and automatically hand-off the meeting to your Mac as soon as you arrive in the office. GoToMeeting also pairs perfectly with your favorite applications such as Microsoft Outlook and Google calendar, simplifying how meetings are scheduled. GoToMeeting plans range from Free to Pro plans depending on your meeting needs. The app is free to download to start joining meetings on the go, while additional paid plan options present more advanced features. With the GoToMeeting mobile app, it’s easy to meet with coworkers, clients or partners with integrated audio, HD video conferencing and screen sharing, ensuring that meetings run smoothly and productively no matter your location.